Size: 16 by 24 inches . 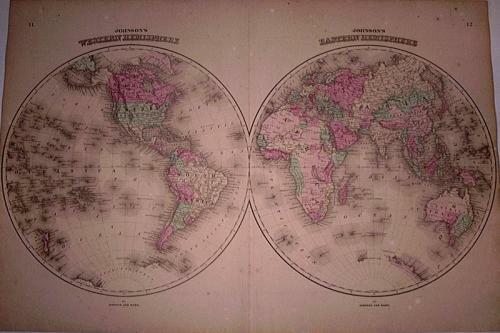 This is a map from an 1864 edition of "Johnson's Family Atlas." A classic Johnson map with the decorative geometric designed border that is much sought after in maps of this period. It is printed on heavy paper and is in good condition with very slight overall tonal ageing as expected. The map is very clean with little foxing.